Desires! Every human heart is running behind to catch its wishes and achieve betterment in life. Drama serial “Yaar-e-Bewafa” is also focusing on the issue that how selfish a person can behave, when they get a little hope for the better future, even they forget their present belongings and relationships. This play revolves around two different families which will connect each other with the progression of events. Zaid is living with his mother, wife and a son. His mother raises him with lots of sufferings and difficulties after the death of his father. She made sure about his quality studies despite their financial problems. Zaid met his wife (Fiza) in university and they fall in love with each other. Fiza belongs to a rich family while Zaid is just a white collar guy. Fiza’s parent opposes her below standard choice and discontinues their connection with her after wedding. Another dimension of the play is Saleem’s family, who live with his wife (Amna) and a son. He is kind of short-tempered, truculent and works in a chemical factory. Once he gets ill and after a complete diagnosis, shocking news reveals that he is suffering from lungs cancer. Now Amna faces financial crises due to Saleem’s illness. 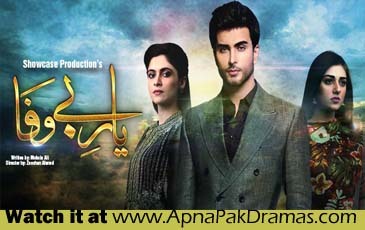 The fate brings another woman in Zaid’s life after the departure of Fiza. They both develop strong bonding, affection and soft corner for each other. Fiza who is busy in collecting materialistic happiness for her close ones, seems like she is losing them forever. Is it a sensible act to value our future happiness while ignoring present happiness?